Your wedding is arguably one of the most important days of your life.  However, if you’re like the majority of people who want to execute their wedding on a budget, you may find the formality of a high-budget wedding a bit old fashioned. You want your wedding to be a celebration of love: the kind of celebration where guests feel comfortable and can focus on the joy that your union has created. 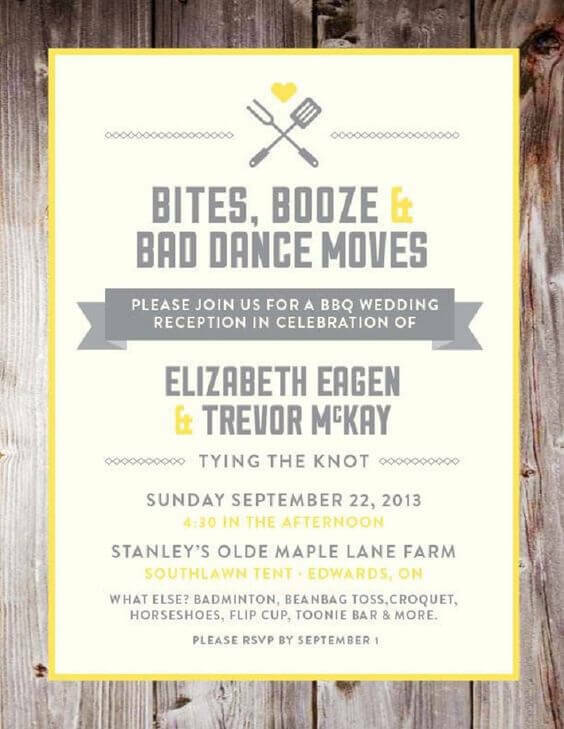 If you think a formal banquet-style wedding cramps your style, a backyard barbecue wedding may be right up your alley. 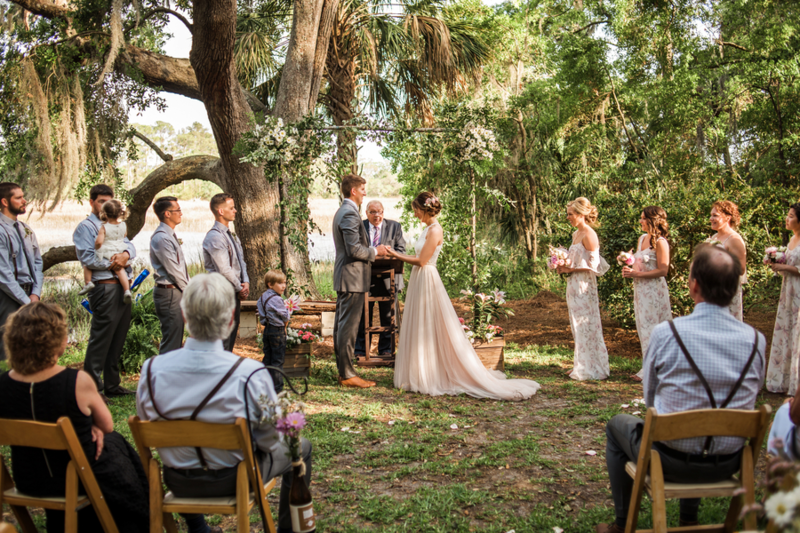 Tossing to the side the pomp and circumstance of the classic wedding, Smokehouse Grill is here with tips, decor, and more for throwing the perfect fun, affordable, and laid-back backyard wedding reception. Your casual celebration of love, with the help of these tips, is sure to be the perfect event for your personality and budget. 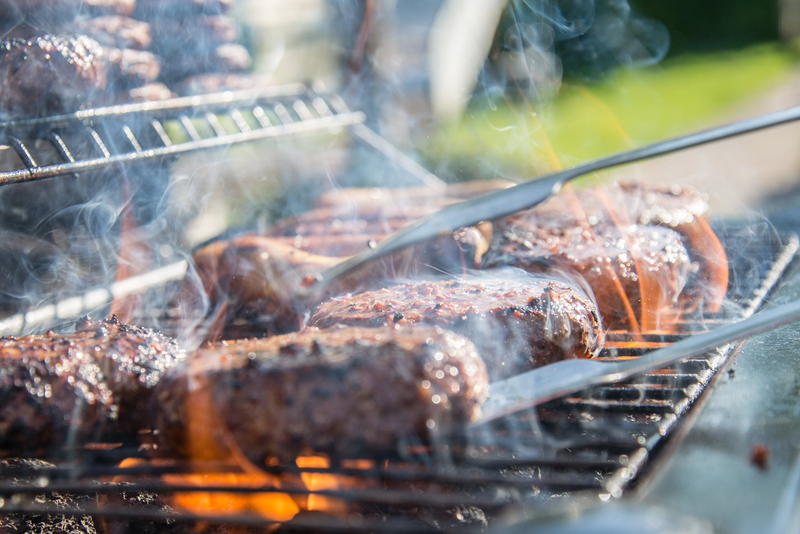 Barbecue Catering: Backyard barbecue weddings are the perfect fit for our BBQ catering packages. Starting as low as $14 per person, our packages include barbecue chicken, picnic-style sides, pit beef, rolls, and more. Our packages are available starting at 25 guests and we provide special discounts for parties of 200 or more. Event Planning & Rentals: With 20 years in the wedding catering and planning industry, we know how to make your event as streamlined as possible. On top of great food, we can help save you money by being your all-in-one supplier or catering, full or partial planning, rentals, and more -- saving you time and money when planning your event. Bar Services: For your own benefit, let us handle the drinks as well. We’ll supply the right alcohol for your event for as little as $12 a person, and make sure a trained bartender is making sure your guests stay safe and satisfied. With so much to plan, it’s easy to overlook important aspects of your wedding that find themselves on the backburner for your big day. While planning, be sure to consider the following. Bathrooms: Backyard BBQ weddings typically require bathroom or porta-potty rentals to accommodate to the number of guests. A general rule of thumb is that you should have no less than one bathroom per 25 guests. Parking: Make sure you have planned your parking accordingly. If you have space, prepare for parking on your lawn, on a driveway, or on the street. If not, consider valet or shuttle services from a nearby area with more parking. Insurance: You want to make sure you are not liable for any injuries that occur at your wedding or residence. We recommend using a bartender for serving alcohol as bartenders are able to cut off guests who are too intoxicated. Additionally, purchasing event insurance will help your laid-back, affordable event into a financial disaster. As you toss to the side the formality of a big, fancy wedding, you’re allowing yourself the freedom to have fun and show some personality at various parts of the celebration. We love the idea of throwing some humor in the invitation; not only does a fun invitation set the tone for the event, but it can help guests plan accordingly for clothing and footwear. 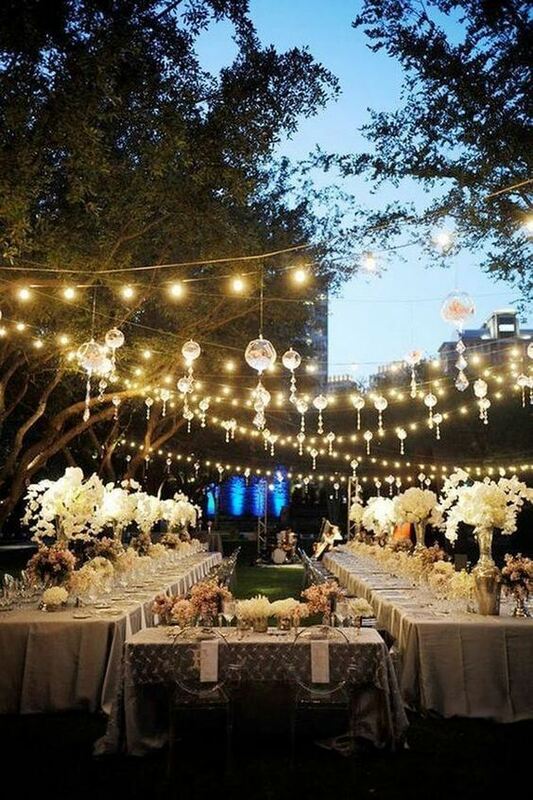 A problem many couples encounter at their backyard barbecue wedding is not having enough lighting. It’s imperative that you plan accordingly for your wedding by putting up stringed lights, candles at tables, lanterns and more. Pro tip: plan your lighting far in advance. Turn on all lighting a few weeks prior to the big day. If you find the event is not bright enough, it may be worth contacting a partial wedding planner to help get the lighting right. There can be a lot of pressure to have your table shapes and sizes match, align correctly, and all face the lovely couple. 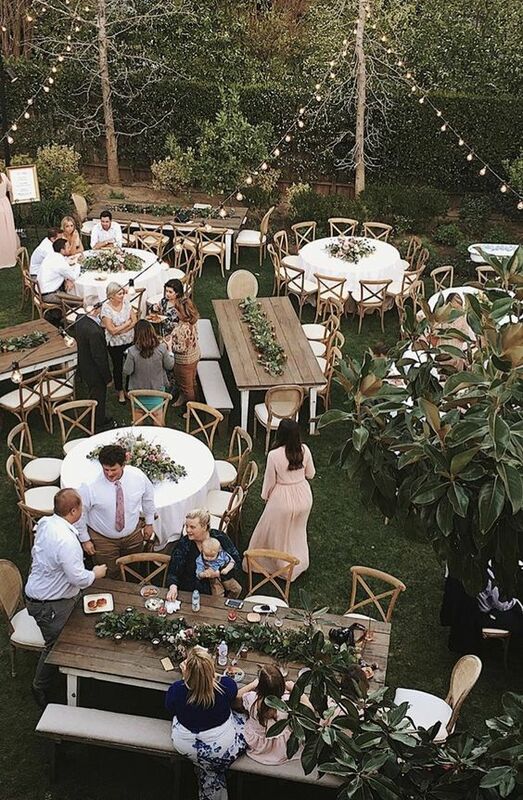 However, with a casual event like a backyard barbecue wedding, you grant yourself the freedom to ditch the uniformity and have fun with your table shapes, layouts, and seating options. One of the greatest benefits of a backyard barbecue wedding is the freedom to have fun. Super family friendly and with plenty of room to play, we recommend making yard games a key feature of your event. 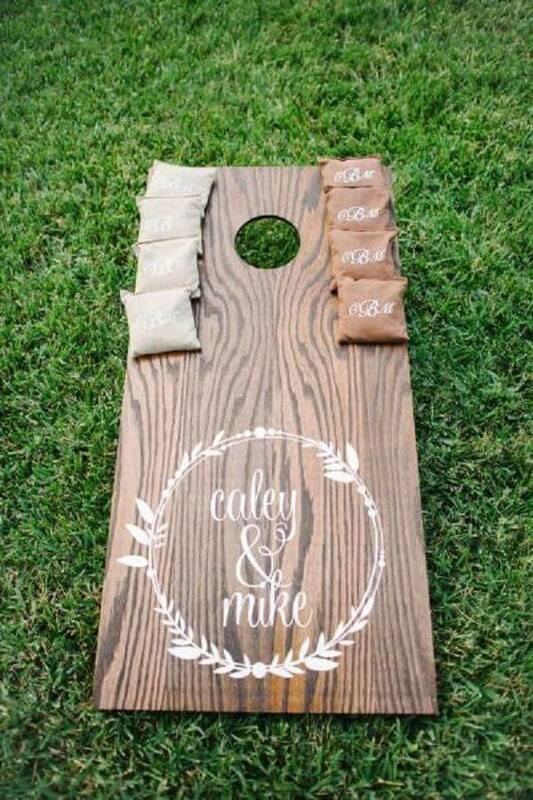 Spice up your yard games with sweet custom touches like this custom corn hole game (which is also a perfect bridal shower gift for the fun couple in your life). Outdoor weddings mean it may be difficult for guests to wash their hands after or before eating, which is why we love the idea of adding an outdoor hand washing station. 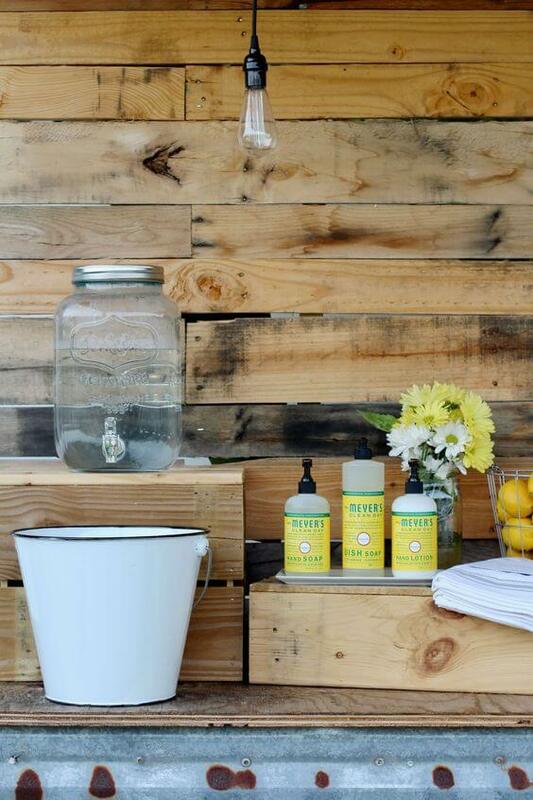 Cute, quaint, and super handy (pun intended), this outdoor hand washing station is the perfect rustic touch for your wedding. Your guests understand that weddings often have a tight budget, and are sure to be thrilled to be part of your celebration regardless of your ability to provide a nice favor. 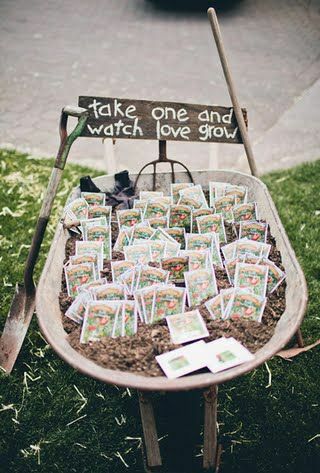 However, we love the idea of giving your guests seeds to plant or small plants to plant in their own gardens as a reminder of your special day. Backyard barbecue weddings are the fun and affordable alternative to the pomp and circumstance of large, costly weddings. Get in touch with Smokehouse Grill to start planning the perfect backyard barbecue wedding today.